SKA’s Nisei Week Karate Exhibition & Tournament is the oldest karate demonstration in the United States. Every August, karate practitioners from dojos throughout the U.S. and abroad gather at Caltech’s Braun Athletic Center in Pasadena, to participate and compete. Come see the essence of Shotokan Karate of America and celebrate the heritage of the Los Angeles area’s historic Nisei Week. For more information please contact SKA Headquarters at (213) 437-0988 during office hours, Monday through Friday from 9am to 5pm (PDT). From the opening of Japan to the West in the late 1800s through the early 1900s, large numbers of Japanese emigrated to Hawaii, the United States and South America. Those who came to North America settled primarily in Seattle, San Francisco and Los Angeles. The first generation of immigrants was known as the “Issei.” By the 1930s, Los Angeles was home to the largest Japanese American population on the U.S. Mainland. Little Tokyo, in downtown Los Angeles, represented the center of that community. Retail and commercial businesses, community and religious centers, and professional services were centered in Little Tokyo. However, business stagnated as the entire nation struggled through the Great Depression. The next generation of young Japanese Americans, the “Nisei,” developed a concept to create a summer festival to celebrate Japanese and Japanese American culture and arts. “Nisei Week” would also drive spectators and shoppers to Little Tokyo to generate commercial activity. Thus the Nisei Week Japanese Festival was born in 1934. Events offered a glimpse into Japanese culture: ondo (festival dancing), ikebana (floral arranging), fashion shows, tea ceremonies, calligraphy, art and talent shows, and a royal court of the Nisei Week queen and her attendants. Japanese foods and the local cuisine based on Asian dishes were a highlight. Also featured were traditional martial arts, judo and kendo. During World War II, from 1942 to 1946, while Japanese Americans were incarcerated in internment camps, the Festival was interrupted. The community was able to restart Nisei Week in 1949. After graduating from Waseda University where he was captain of the school’s esteemed karate club, Tsutomu Ohshima immigrated to the United States in 1955. He had been a direct student under Master Gichin Funakoshi, the founder of modern karate who brought karate to mainland Japan from Okinawa. Mr. Ohshima’s reputation in the world of karate had preceded him and it wasn’t long before he was teaching the first American karate students. In 1957, Tatsuo Inouye, the leader of the local judo federation, invited Mr. Ohshima to participate in the Nisei Week Judo Exhibition at Koyasan Buddhist Temple in the center of Little Tokyo. Because he was the only black belt, Mr. Ohshima performed much of the demonstration. This was the first official public demonstration of traditional karate in the United States, and has since become an annual activity for Mr. Ohshima’s students. That first 15-minute exhibition included 15 to 20 original members, including: George Murakami, Roe Suzuki, Fred Suzuki, Frank Kawana, Mas Norihiro, Takaaki Endo, Mike Shibano, and Akimasa Futami. Stan Tashiro, also an original member, provided commentary. Several of these students would later become the first American karate black belts. Among the spectators at the first exhibition were Peter and Caylor Adkins. The brothers enrolled in Mr. Ohshima’s classes and Caylor would later become part of that first group of black belts. Caylor, now a godan (fifth degree black belt), continues to be a significant influence within Shotokan Karate. 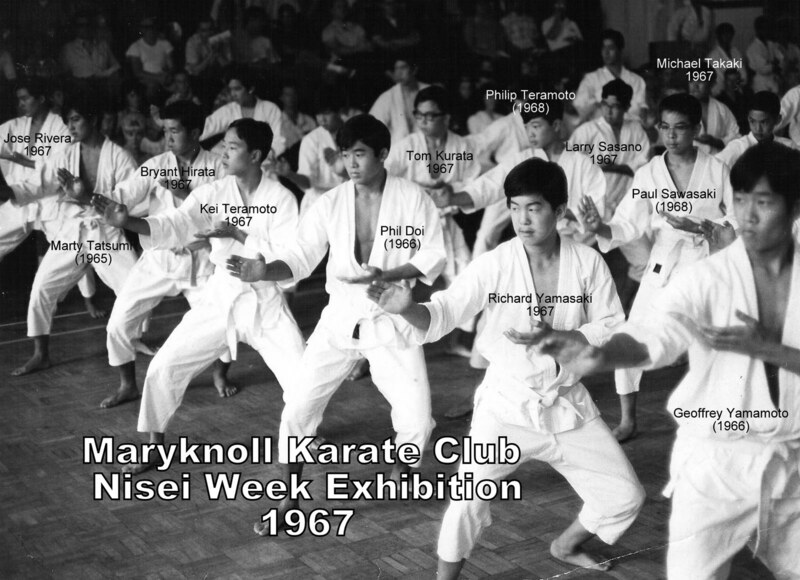 With the support of local community leaders, in 1958 a separate karate tournament was added as part of Nisei Week under the direction of Mr. Ohshima. Those community leaders included Reverend Daiichi Tsuyuki of Konko Church, Bishop Kenko Yamashita of Zenshuji Buddhist Temple, Rev. Shoki Mohri of Nishi Hongwanji Buddhist Temple; community leaders Junichi Yoshitomi and Masuo Nitamura; journalists such as George Nozawa, kendo insructors such as Master Torao Mori, and judo teachers Sensei Kaname Kuniyuki and Sensei Tatsuo Inoue. The tournament was first televised on CBS around this time. In 1959, Mr. Ohshima’s group was formally organized as the Southern California Karate Association (SCKA). In 1969, the SCKA was incorporated as Shotokan Karate of America (SKA). 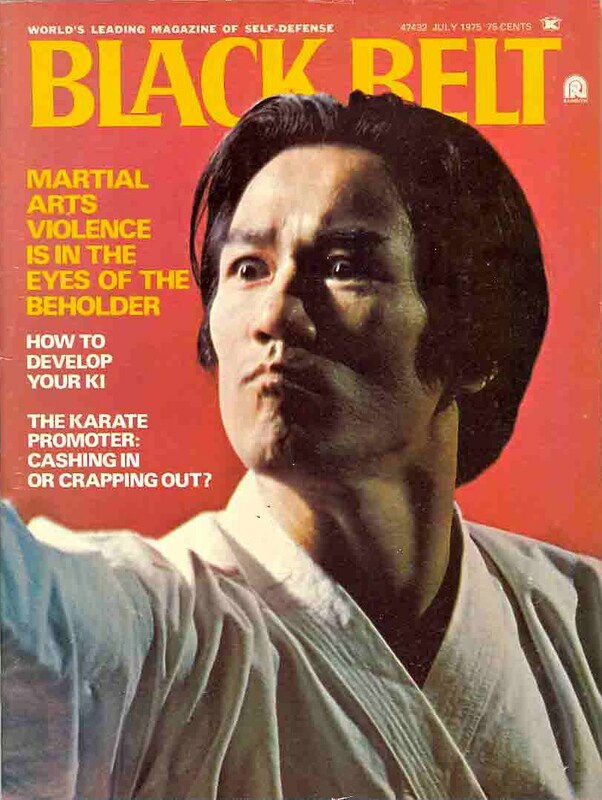 Mr. Ohshima, who is a member of the Black Belt Magazine Hall of Fame, has traveled throughout the world teaching karate to thousands of students. Mr. Ohshima is currently the head instructor of karate organizations in fifteen other countries, including France, Israel, Canada, Switzerland, Spain, Belgium, and Morocco. For many years, Koyasan Temple would be the home of the exhibition. The event had grown to include a tournament of local, national and international black belts from Mr. Ohshima’s dojos and other karate groups. 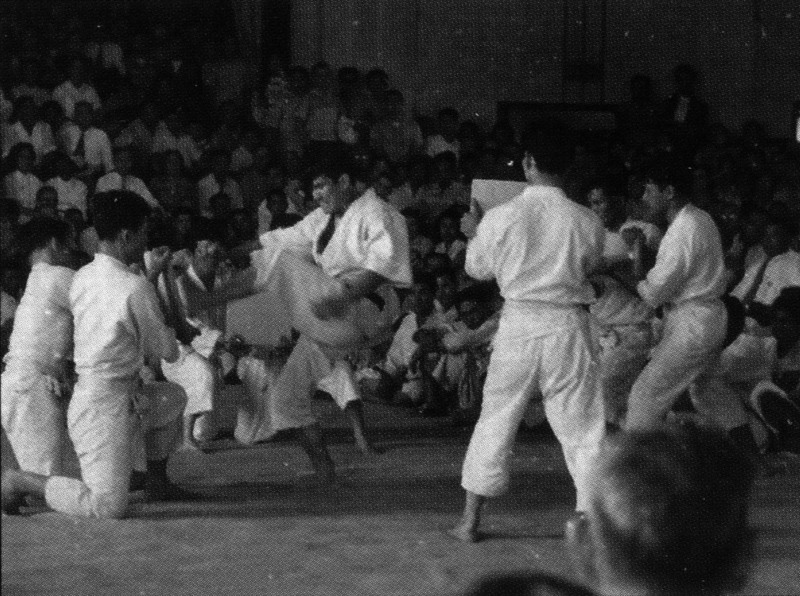 In the 1960’s, for example, Yasunori Ono¾All-Japan Collegiate Champion and Mr. Ohshima’s junior from Waseda University¾fought and took first place. Mr. Ohshima’s students from around the world also exhibited demonstrations of karate techniques and practices. In the 1970’s the exhibition was moved to the larger (and air conditioned!) Nishi Hongwanji gymnasium to ccommodate the crowds and supporters. 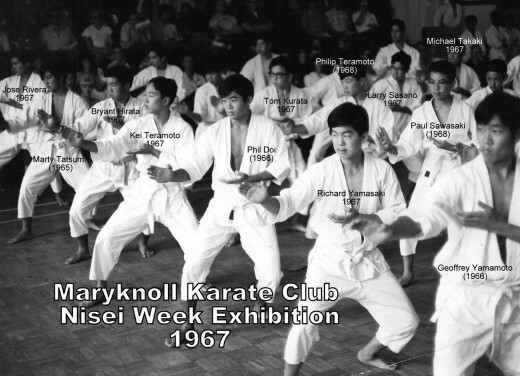 In 2004, the 48th Annual Nisei Week Karate Exhibition and Tournament moved out of Little Tokyo and relocated to Caltech’s Brown Gymnasium. Caltech’s karate club was started in 1957, creating the oldest university karate group in America. Mr. Ohshima was a member of the Caltech’s faculty for 37 years and taught karate to several of Caltech’s current and past academic professors. The Caltech Karate Club carries on its tradition as a vital part of SKA and its facilities hold a special place in karate history.